UNOPS is an operational arm of the United Nations, supporting the successful implementation of its partners’ peacebuilding, humanitarian and development projects around the world. Our mission is to help people build better lives and countries achieve peace and sustainable development. 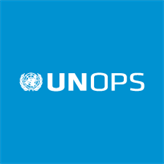 Want to get notified about new jobs at UNOPS?